Your shower glass becomes worse by the time due to hard dots, which come from the combination of Calcium and Magnesium available in water. Our experts are trained enough to remove all these dots with Benaz. The future of shower glass is here. You can maintain your shower glass easily with Valore. It is available in an aluminium bottle, which is small enough to fit into your hand. It prevents the occurrence of water dots and soap scum on the glass. Science has finally met the all-new technology with a positive result in Valore, keeping shower glass clean for a long time. Just experience this product and get the shine, which you have never seen before. Now there is an entirely new way to receive an estimate for your glass restoration. Every estimate is assigned to an artist, who will complete the entire process. 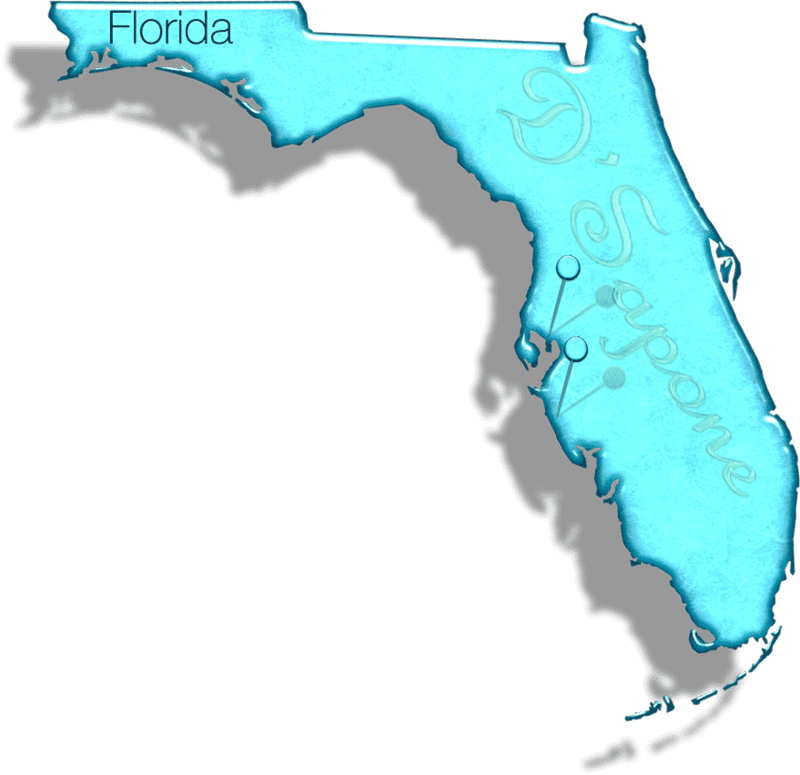 Sarasota and Tampa, just simply email us pictures and our server will calculate the rest. 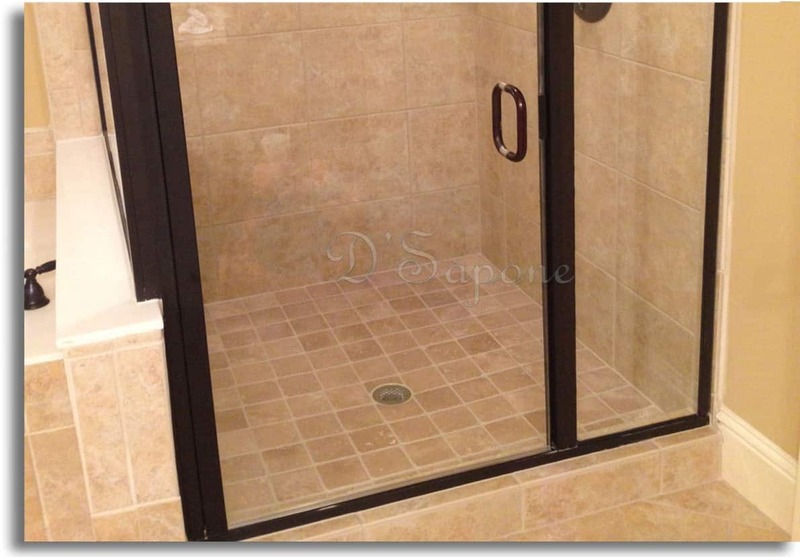 How will D'Sapone® remove all the hard dots and etching on my shower glass? 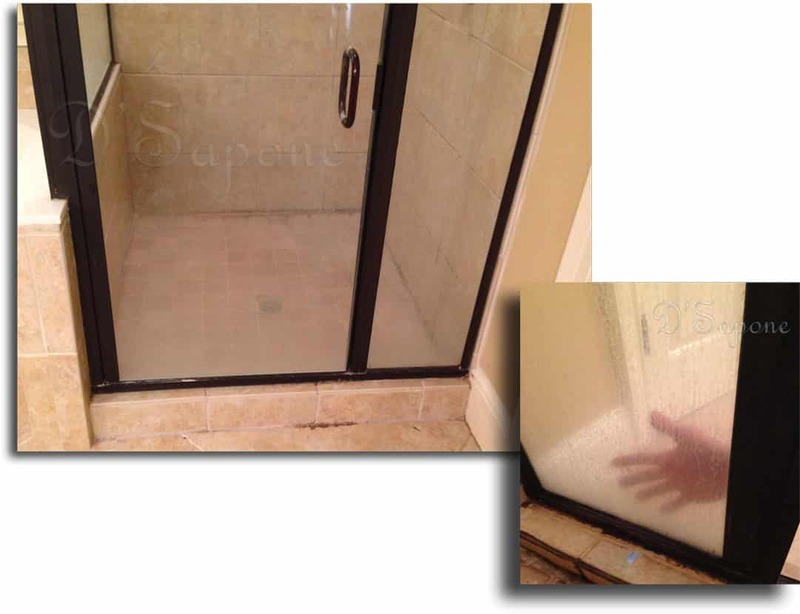 We will apply Benaz cleaner on your shower glass to eliminate all the water dots, etching and soap scum. Does Benaz have any smell? Yes. Benaz has a spearmint smell. Can all scratches be removed? Can all the hard dots on my metal frame be removed? Of course. Our process eliminates all the hard dots, soap scum and etching. How can we prevent the water from turning into hard dots on our glass? 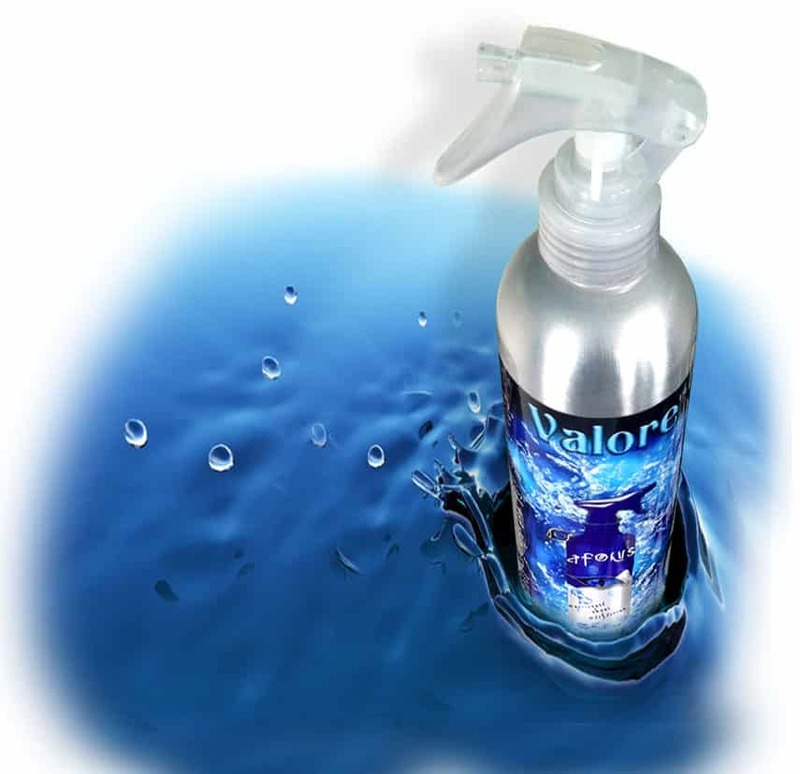 Once we clean your glass, we will seal it with Valore. The same product you can use as a maintenance cleaner and sealer to keep your glass always clean. You can buy it from pFOkUS®. How often should we apply Valore? We use high quality cleaners and sealers to restore the glass.